Heat the oil in a large frying pan over a medium heat. Add the spices [except the chilli powder], seeds, onion and garlic and stir-fry until the spices release their aroma. Add the chilli powder and the tomatoes, and cook for three minutes or until the tomatoes start to soften. Thicker slices take longer. Meanwhile, toast the bread and butter it. 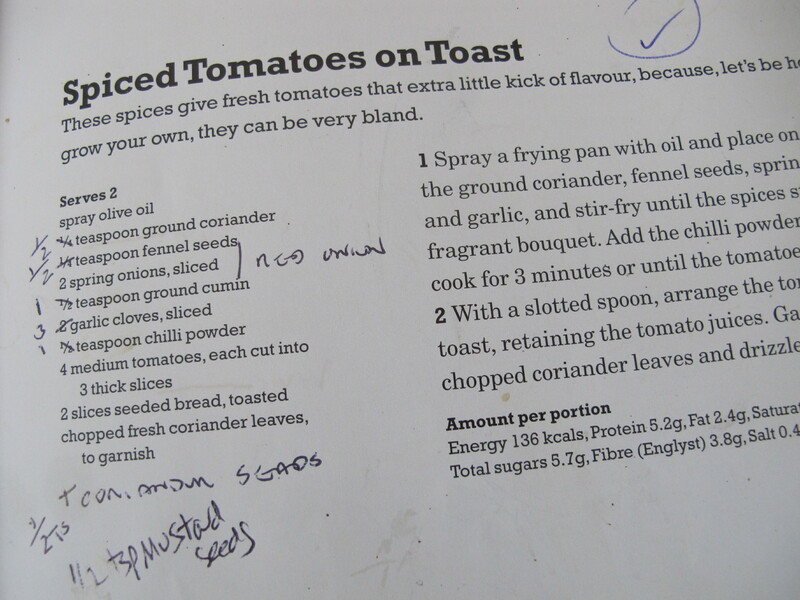 Serve the tomatoes on the toast. 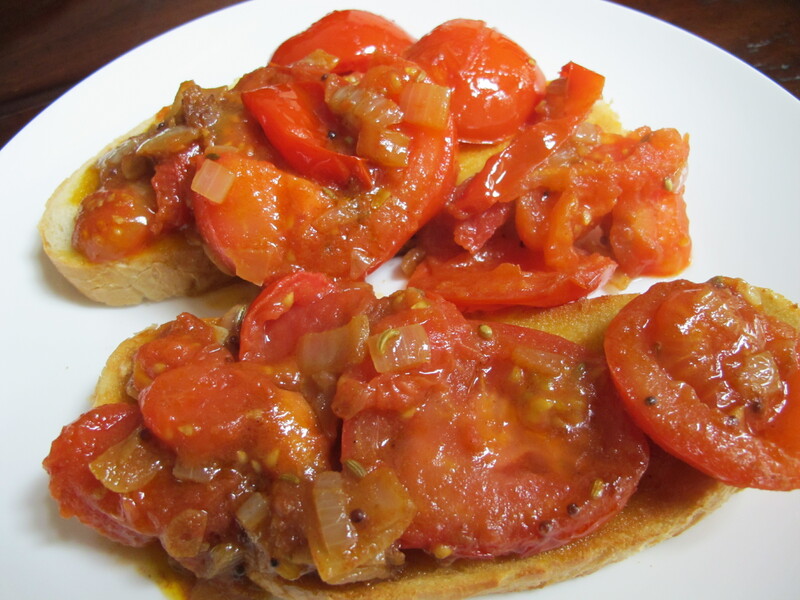 This entry was posted in A love of food and tagged Andalucia, recipes, Sandra Danby, Spain, Spanish food on May 27, 2013 by sandradan1.